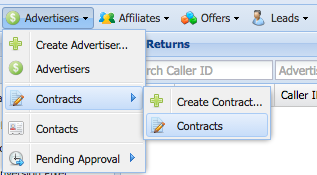 Allow Returns: Wether you want to allow the advertiser to return calls from the advertiser portal. Auto Approve Returns: Wether you want to auto approve returns without reviewing them. 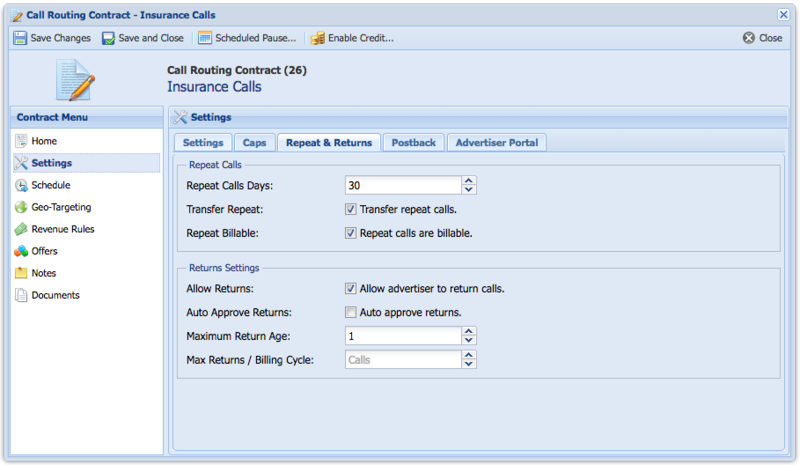 Maximum Returns per Billing Cycle: Number of calls the advertiser can return per billing cycle.